5-Chloromethyl-2-furoyl chloride when treated with triethyl phosphite has given 5-chloromethyl-2-furoyl phosphonate. This compound has reacted with sodium azide in the presence of potassium iodide to give 5-azidomethyl-2-furoyl phosphonate. 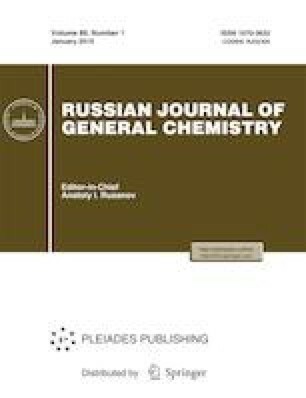 Treatment of 5-chloromethyl-2-furoyl phosphonate with secondary amines even under mild conditions has caused cleavage of P–C bond with liberation of diethyl hydrogen phosphite and formation of 5-chloromethyl-2-furancarboxamide. Butanthiol in the presence of potassium carbonate in acetonitrile has converted the chloromethyl group into the butylthiomethyl one and simultaneously split the P–C bond with the formation of the corresponding thioester. Under the action of S-methylthiuronium iodide and triethylamine, 5-chloromethyl-2-furoyl phosphonate has been unexpectedly reduced into the 5-methyl derivative. 5-Butylthiomethyl- and 4-(N-morpholinomethyl)-2-furoul chlorides have been phosphorylated with triethyl phosphite into the corresponding 5-functionalized 2-furoyl phosphonates. The prepared furoyl phosphonates have reacted with resonance-stabilized phosphoranes to give phosphorylated derivatives of 3-(furyl)acrylates and 4-(furyl)but-3-en-2-one with trans-location of phosphoryl and carbonyl groups with respect to the double bond. Russian Text © L.M. Pevzner, A.I. Ponyaev, 2019, published in Zhurnal Obshchei Khimii, 2019, Vol. 89, No. 1, pp. 51–59.